The Spice Girls musical. Yeah I went to this. The best thing about it was watching the facial expressions of the girl sitting next to me who clearly thought it was an immense pile of pants. That and the fact that MEL C was sitting two rows in front of us, and she was HAVING it, and I suspect she’s Thursday night spice and gets paid a couple of hundred quid to go and look happy. She has an entourage made of two girls constantly at her flank, they both look a little bit like her but have fluffy hair, podgy waists and are a little bit shorter and less attractive. I think they must also be vampires because they don’t show up in photographs. 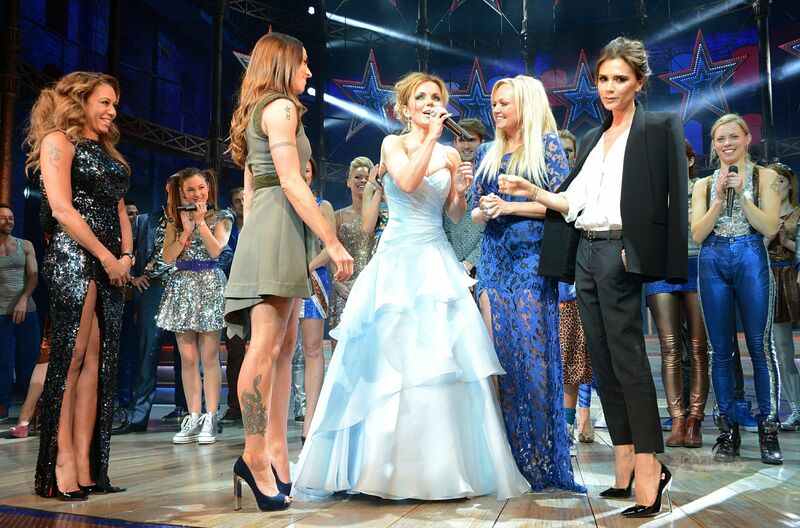 We knew it was Mel C because she has the arms of someone who goes to the gym professionally. We all thought that it was going to be a musical about the Spice Girls but when it started we were like – err, which one of the Spice Girls grew up on a barge? Turns out it’s a musical spoof of Britain’s Got Talent, with more than a little hint of Absolutely Fabulous and lots of twinks body popping about being famous. There are some real, actual lols, a really weird puppets bit (spoiler alert), a Susan Kennedy from Neighbours (lookalike?) and some well cringey moments of ‘break dancing,’ but on the whole, unless Spice Girls songs make you want to rip your own head off, it’s totally not the worst thing I’ve ever seen (Batman The Musical, Jumpy and Jersey Girl). You thought this was going to be way more acerbic right? Sorry, I’ve got a hangover.